I had the opportunity to work with Society6 and influencer Ariel Kaye to create this piece for the new Power Mamas launch! The collection celebrates eleven female founders for their leadership and creativity. It was a team effort: Ariel art directed this piece I illustrated – she chose the quote, artistic style, and color palette and I whipped up the rest. This limited edition art print is celebrating the upcoming launch of Lil 6ers! A fun, new collection of products specifically tailored to suit Society6's littlest fans. A percentage of all proceeds from this collection of inspirational children's wall art will go to P. S. ARTS to further arts education in underprivileged communities. 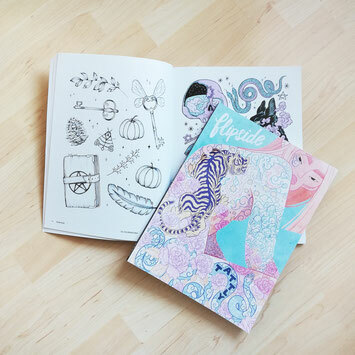 For the first time ever, Society6 collaborated on their Flipside Art Zine with Tattly, a temporary tattoo company based in Brooklyn, NY. 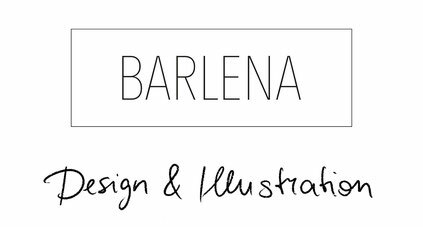 The Flipside features 20 new original works including a brand new Barlena illustration called "Magical Treasures". It's all inspired by tattoo flash art and even comes with a temporary tattoo packet! I always love to see my artworks in other people's homes. 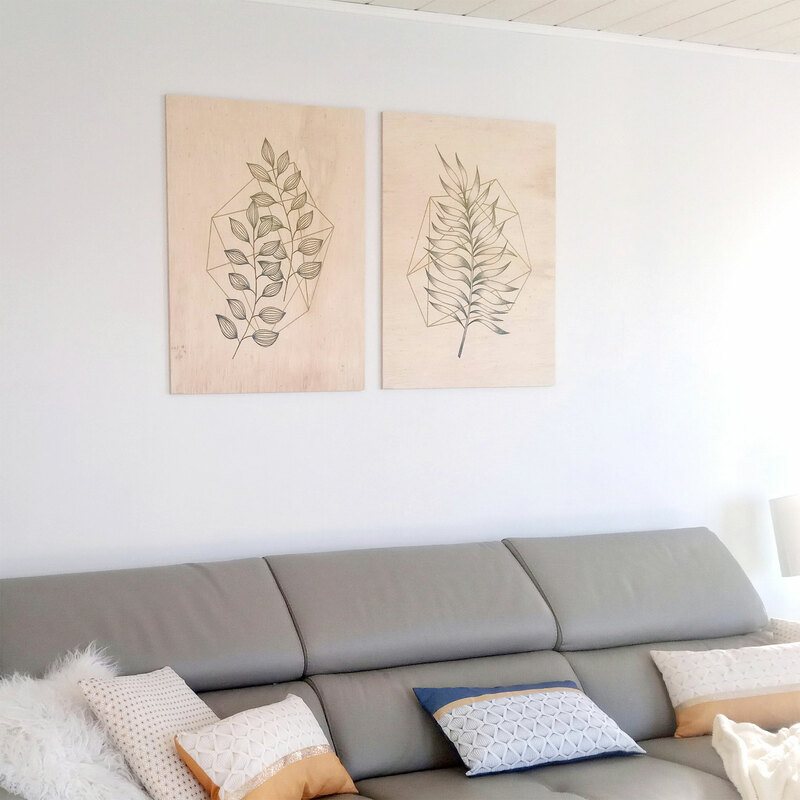 So I was super happy to find two of my 'Geometry and Nature' wood prints featured in a blog post over at bergamotefamily.com. They went for a clean, bright and warm vibe in their living room and found the perfect spot above the sofa for the wooden panels. Find these prints on Posterlounge. 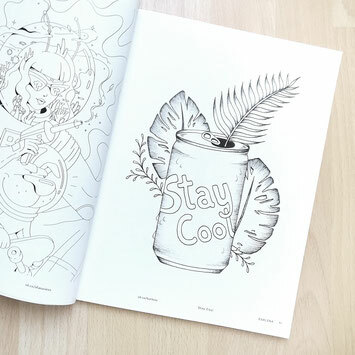 This carefully curated book shows off a strong selection of work from active Society6 artists. 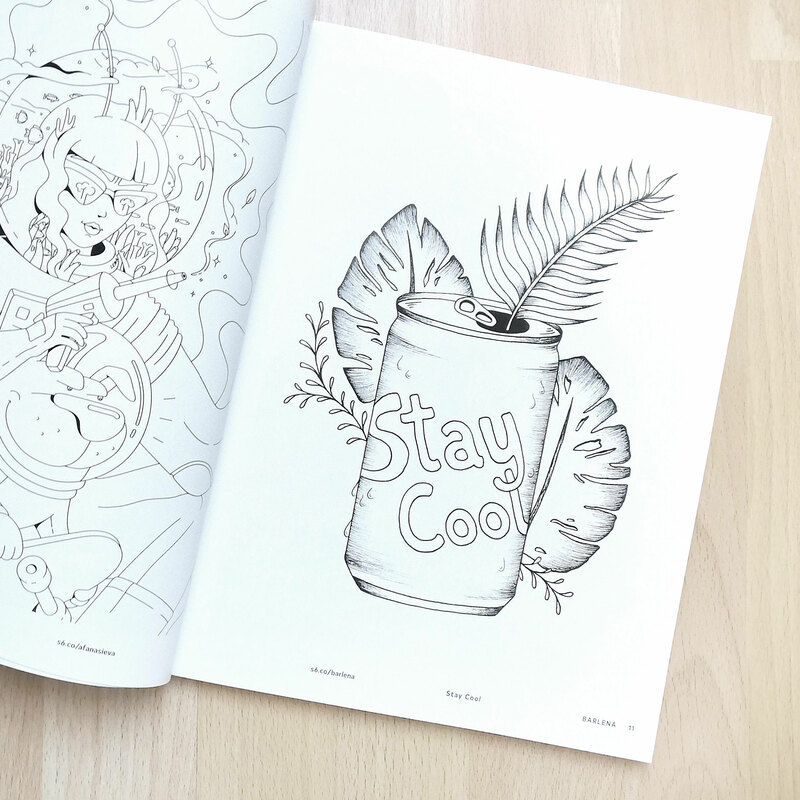 I especially love the two cover concept.. Art Quarterly on one side, Coloring book on the other. Limited to 500 copies, special edition. 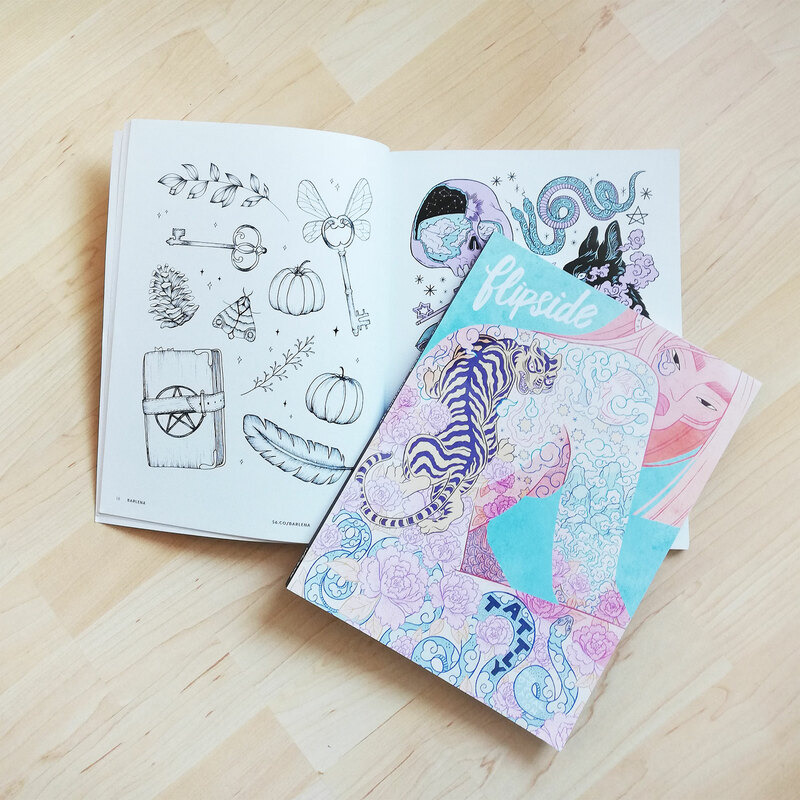 Each piece of artwork in the Flipside Zine is a custom coloring book page designed so that people can be a part of the creative process too. 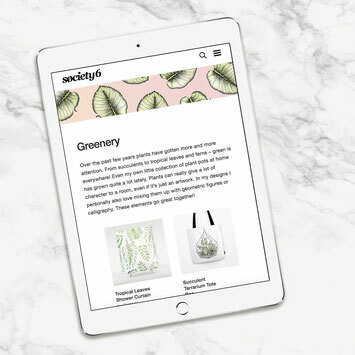 I'm very excited to share that I wrote an article on the Society6 blog called Trends with Benefits – How to Capitalize on Popular Styles. It's part of the Monthly Creative brief featuring design recommendations for current trends and sales. I got to share my tips for trend spotting and six trends I'm currently loving. Feminist Sticker Club is a sticker subscription service. Every month, the subscribers receive a feminist sticker in their mail. 10% of profits are being donated to feminist causes. As a feminist myself, I was eager to be a part of this great project. 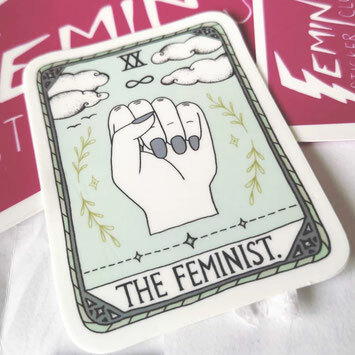 My design "The Feminist" from my Millennials Tarot series is the sticker of the month August 2018. Shorty after joining Design By Humans, I got picked as their "Artist of the week" and they interviewed me about my work. 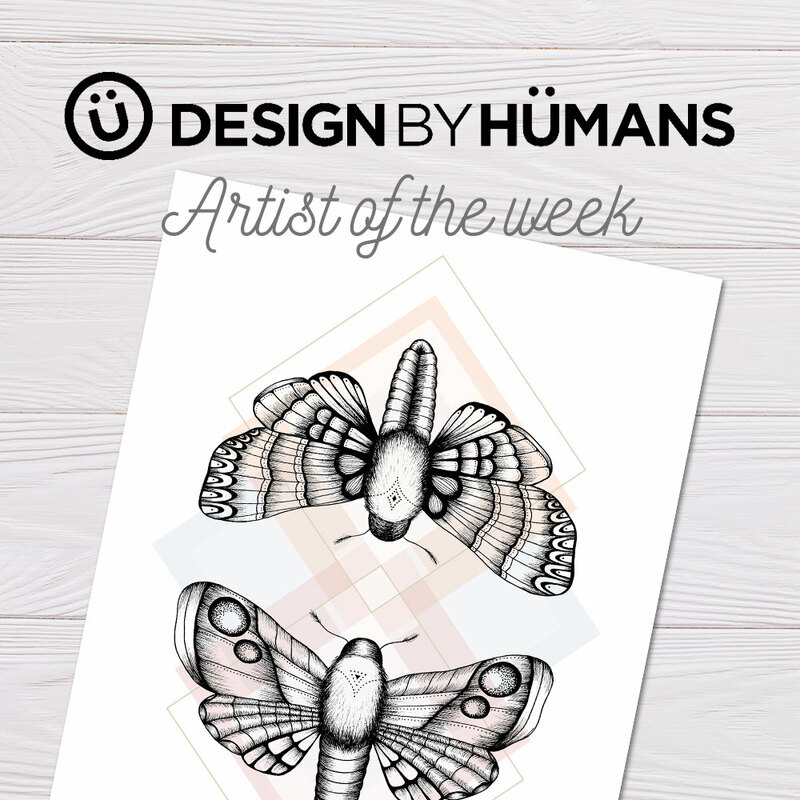 Design By Humans features graphic tees, phone cases and wall art prints from over 15,000 diverse international artists from all around the world. They give artists a unique platform to share their designs through their own online storefront. 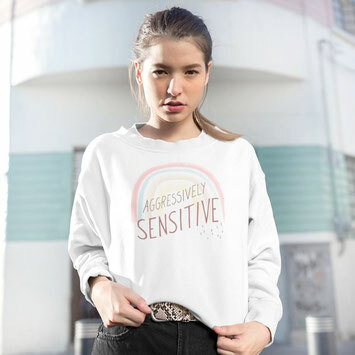 Say hello to summer with Society6 and their lookbook "4 Must-Haves for a Beach Day", featuring my "The Eye Roll" design! 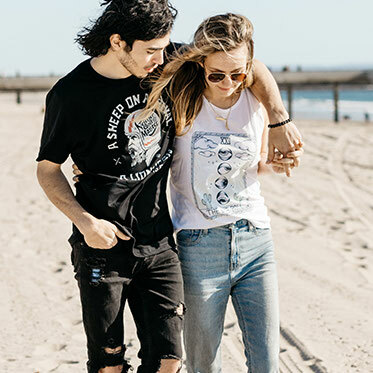 This fresh t-shirt will help you get in that Venice Beach state of mind, no matter where you are. In March 2018 I got interviewed by the lovely Jules Tillman over at creatingbeautifully.com, a blog for entrepreneurs in the creative business. In the interview I talk about my story of becoming an artist and how I sell my artworks passively. 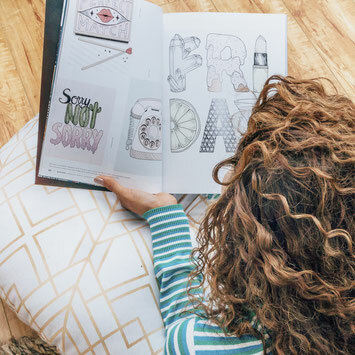 The Society6 Art Quarterly drops four times a year and includes new work from fifty diverse Society6 artists, off-set printed in rich color across 130 pages. 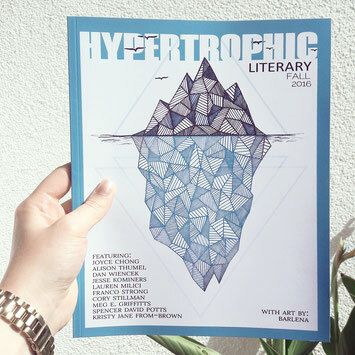 I'm really happy to have my artworks featured in this magazine, alongside so many other talented artists. Hypertrophic Press is an independent press that publishes both books and a quarterly literary magazine. Their editorial focus is on set on poetry and artwork. All illustrations in the fall 2016 issue of their magazine are by me. I always had a great interest in horoscope graphics, so I was really excited when I got the chance to create the scorpio illustration for miss magazine. It was a horoscope special in their summer 2016 issue. 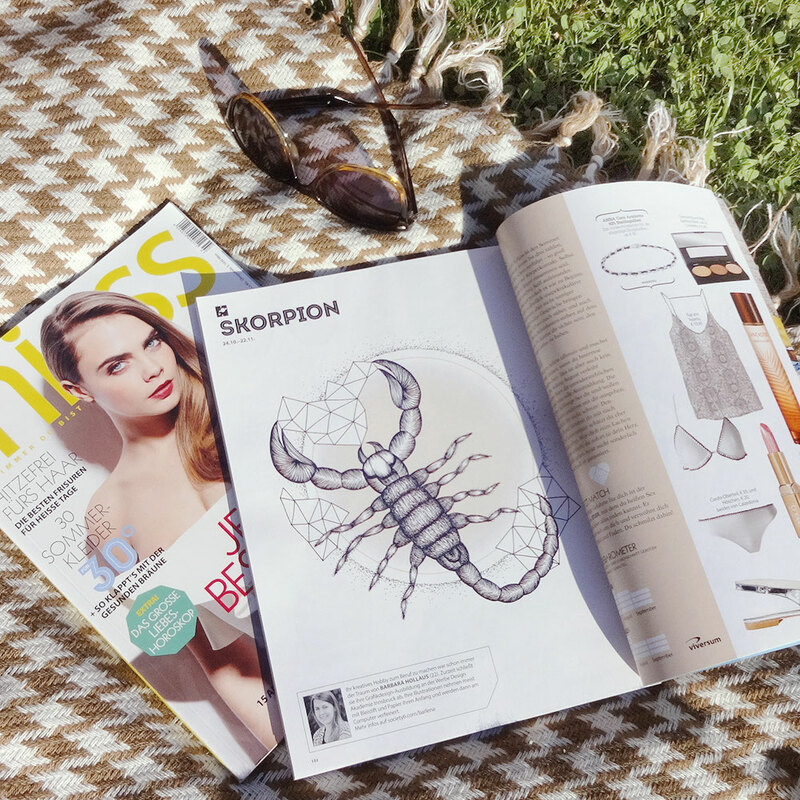 Miss is an austrian lifestyle-magazine for young women.